More than 55,000 people attended the South Street Spring Festival in 2016. 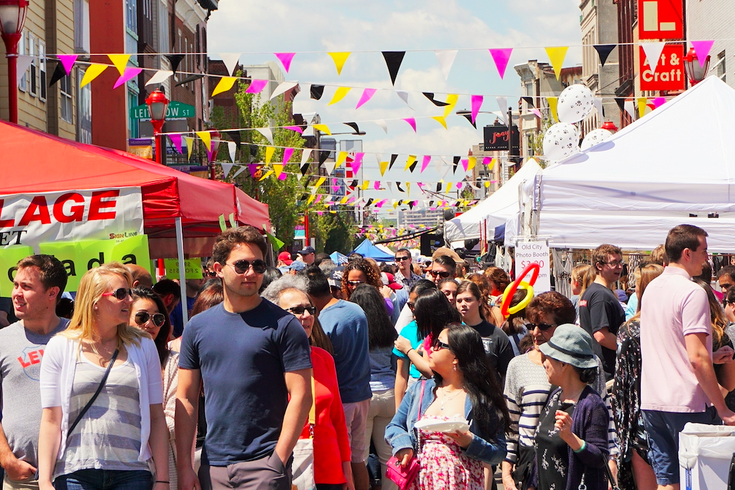 This year, the South Street Spring Festival will take place on Saturday, May 5. The annual event is a huge, all-ages block party that kicks off springtime in Philly. Make plans to go and spend the day eating, drinking and dancing. More than 30 restaurants and bars will serve food and drink on the street and dozens of bands will perform on three stages. Or, if you're in the mood to shop, check out the hundreds of vendors selling handmade goods within the festival's eight-block footprint. That's not all there is to do at the festival, though. Outside Atomic City Comics, there will be a DJ, free comics and a cosplay costume contest for kids with prizes. Over at Brauhaus Schmitz, the 21-plus crowd will be transported to Germany. Maifest will include authentic German food, liters of beer, flower crown making, German dancers and live music from the Heimatklänge band. The mini festival-within-a-festival will take over the 700 block of South Street. Just look for the huge Maypole. Dance around the Maypole at Maifest. 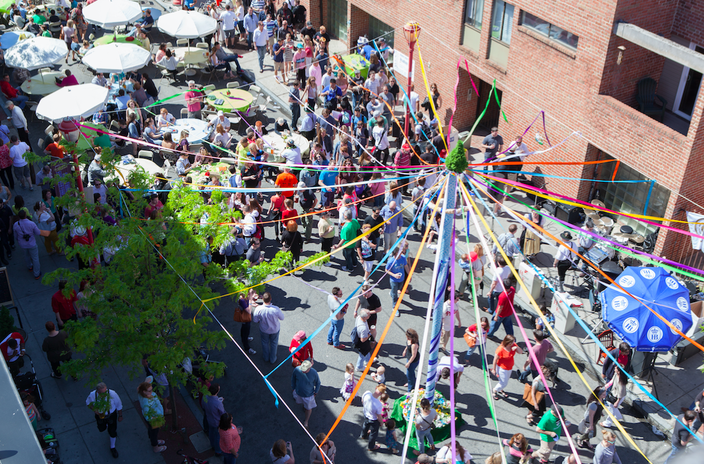 Both Maifest and the South Street Spring Festival are free to attend. But if you plan on spending all day at Maifest, you may want to purchase a VIP ticket. Included is a buffet, seven beer tokens, access to private bathrooms and a mug.